It is a requirement that parents/carers let us know on the first day of any absence why the child is not at school. In conjunction with the Local Education Authority (LEA) we operate a First Day Calling Policy and if we do not get a message from you we will try to contact you by phone. If we are unable to contact you we will be required to report this to Education Welfare. Please check your child’s hair regularly. If you are worried, please contact the school nurse (telephone 821388). Please use the conditioner/wet combing method. If you find an infestation please treat the whole family. Please inform the office so that the appropriate messages can be distributed to the class. Please keep long hair tied back. Please see the school office for a letter on treatment of head lice. To ensure safety at the beginning and end of school sessions, parents are requested to use the small pedestrian gates. The car park is a staff only car park and should be used for emergencies only, not for dropping off and picking up. The School has a No Smoking policy. Please do not smoke in or around the school grounds. Please do not bring dogs into the playground, as some children are frightened of them. Dogs fouling the playground is a health hazard. Please go to the School Office when you come to take your child for an appointment. They will then collect your child from the classroom. We are sorry that it is not possible for a child to leave the school unaccompanied to meet parents/carers for an appointment. Please inform the Office of your child’s appointment in advance and provide a letter/ appointment card where possible. Parents/carers who wish prescribed medicines to be administered to their child at Barton must fill in the appropriate form at the school office. Medicines or tablets should be handed in to the school office or to the senior in charge in the Nurseries. Only prescription medicines in the original box/container can be administered and can not be accepted when they are not in original box/container. Dose and time to administer medicines must match the printed prescription label from your doctor. Please inform the school if your child has a serious recurring medical problem. 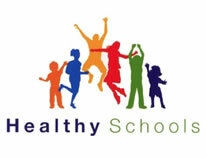 The school nurse checks hearing, eye sight, height and weight at selected stages. All children will receive a full medical examination during their first year at school. You will be informed of this in writing. A Media Permission from will be completed when your child starts at Barton School/ Early Years Centre. If you wish to make changes at any time a new form can be completed. If you do not wish your child to be photographed/videoed your child will be sensitively withdrawn at the appropriate time. Photographs can be taken at certain events by parents/carers and you will be notified accordingly e.g. Sports Day, football matches etc. Please be sensitive to other people and do not disrupt or interrupt the event. The Christmas Concert will be videoed and photographed by the school and these images can be purchased after the concert. Unknown visitors to the school will not be permitted to use cameras/video equipment at any time. On some occasions the press need photographs for articles. Subject to permission on Media Permission form. We do not always have control of what is printed in the newspaper regarding names but we do as much as we are able to ensure first names only are used. It is important for children to learn to be punctual. I would like to ask for your co-operation, as young children are dependent on being brought to school. A lot of time is wasted altering the dinner register and repeating instructions when children arrive after registration. It can be very frustrating for a child to miss a very important time of the lesson. Most families have occasional mornings when things go wrong and we would rather the children arrived late than not at all.